The University of Mississippi’s Debate Team competes at the national and even international level, traveling to tournaments in locations such as Atlanta, San Fransisco, and Washington D.C. to even China and South Africa. However, It also endeavors to invest and engage in the local community in an impactful way. Tangibly, this takes place through the promotion of dialogue on pressing issues ranging from social to political to principal in nature through a series of public debates. In these debates the team takes an issue of current significance and work to express the relevant nuance associated with various ideas and positions in a compelling, logical, and clear way. After the original, structured debate, the public engages in a civil discussion and critique of the debate- by both affirming what they consider particularly impactful arguments made, what points they disagree with, and what they wish had been discussed but was not. In the end, it is the audience that decides which of the team wins the debate. Importantly, the debaters do not know the exact topic or which side of it they will have to argue until ten to fifteen minutes before their speeches. As such, it is important for them to remain informed in a wide selection of current events. Although the team requires no specific major or background to participate, they are encouraged to become “global citizens” by developing perspective and knowledge on the larger, interconnected world in which we all live. Debate is not for everyone, however, remaining informed and engaged in the pressing issues that impact our world should be. We invite you to join our discussions and let your voice be heard. Below is a link to the information on our upcoming public debates as well as a selection of articles the team is reading pertaining to important topics. The Debate Team of the University of Mississippi. 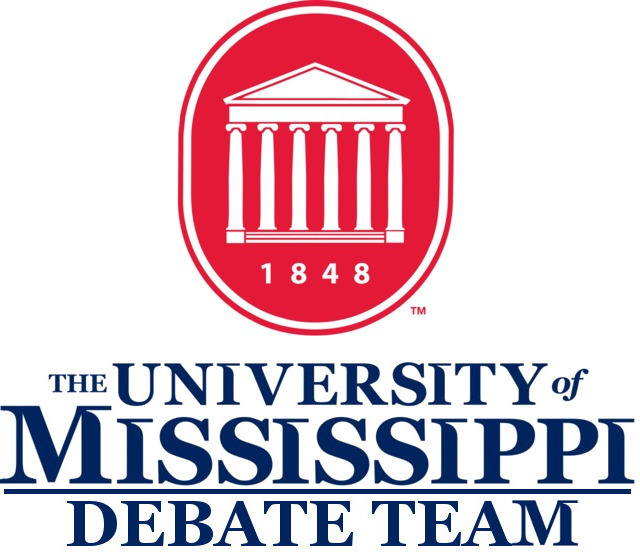 If you wish to remain informed of the University of Mississippi’s Debate Team events and activities, please follow us on social media or send us an email for specific questions. 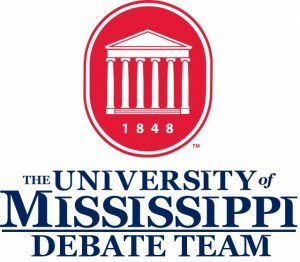 We are on Twitter under UMissDebate, Facebook under University of Mississippi Debate Team, and our email is umissdebate@gmail.com.